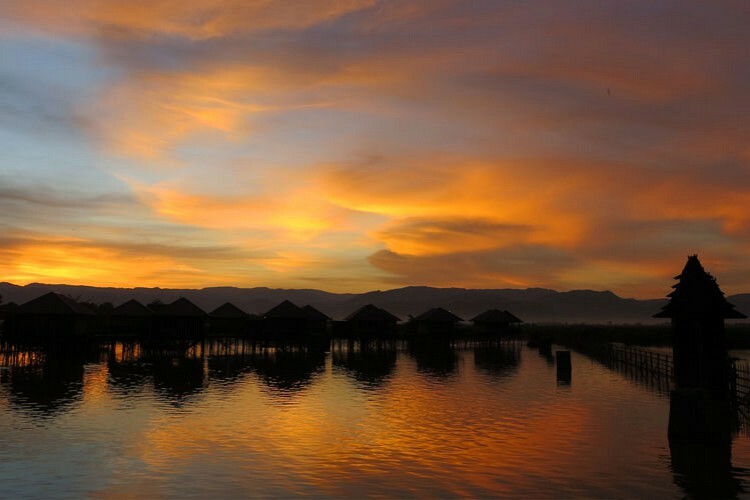 Inle Lake is one of Myanmar’s most anticipated destinations, it is a vast body of water, 875 meters above sea-level featuring a unique ecosystem, singular life-styles and rich traditions. 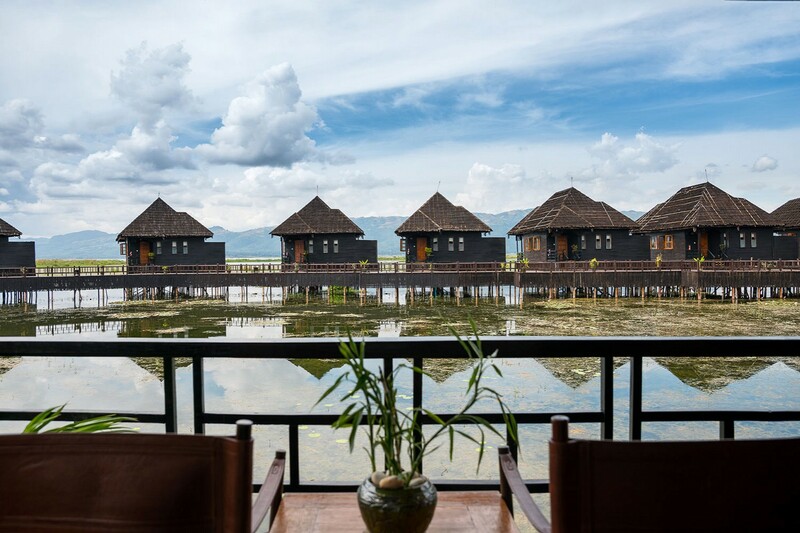 Sitting right on the lake waters, Myanmar Treasure Resort, Inle offers an elegant combination of traditional local life style and the comforts of modern accommodation to capture a tradition held long and true. An ideal location to view this splendid and unique area, it allows you a peek into the lives and traditions of the Inthas, (literally meaning ‘Sons of the Lake’) propelling their boats using their unique leg-rowing technique and the opportunity to experience their genuine hospitality. 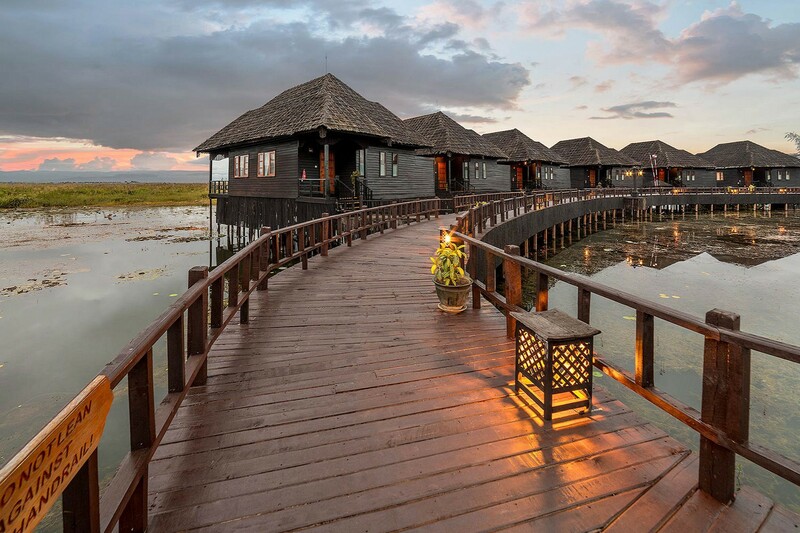 The resort offers you choices of cultural and traditional entertainment, a unique dining experience overlooking the lake with the mountains beckoning. 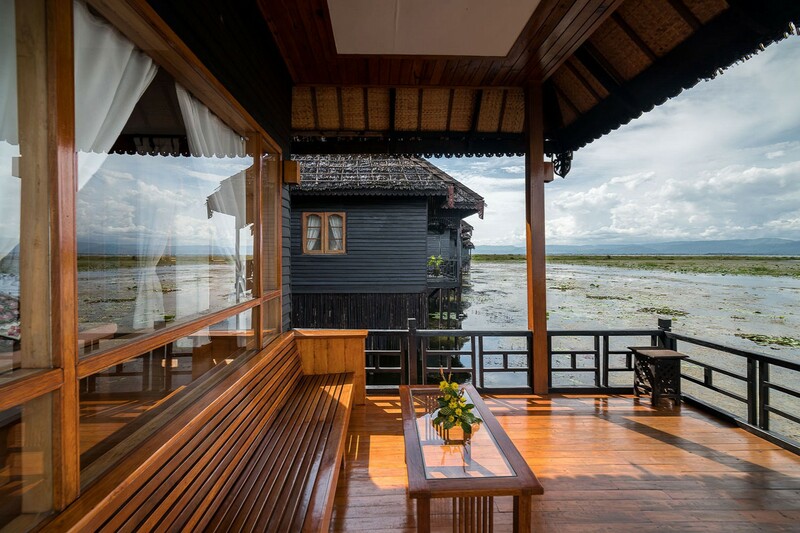 The floating spa will reinvigorate your body and soul after a full day of sightseeing around Inle lake. 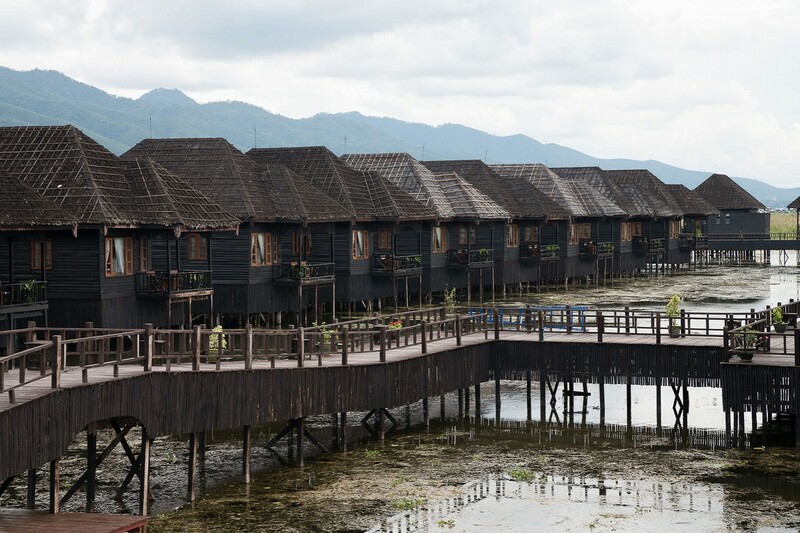 Standing elegantly on stilts over the lake and linked by wooden walkways, these water villas are the signature feature of Inle Lake. 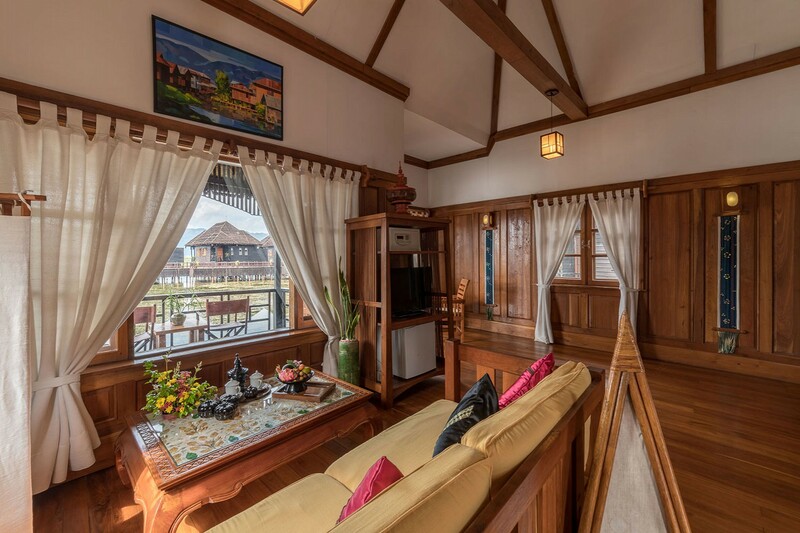 Each villa features a unique architecture style of the lake using golden teak. 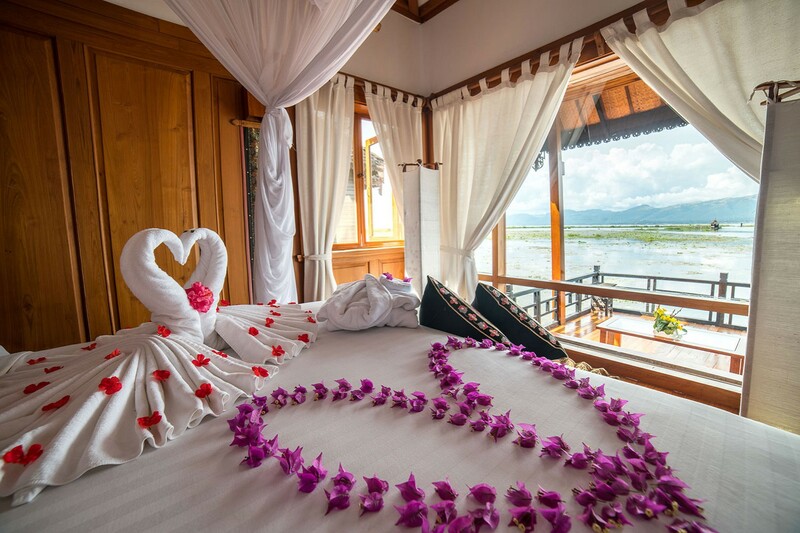 Spacious bedroom, living area and private balcony makes for the most enriching lake side experience. 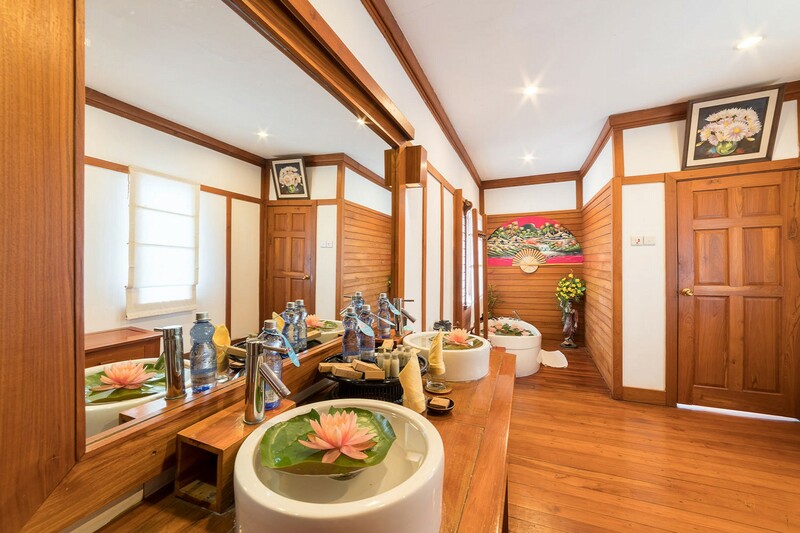 The attached bathroom comes with an outdoor shower that opens into the lake. 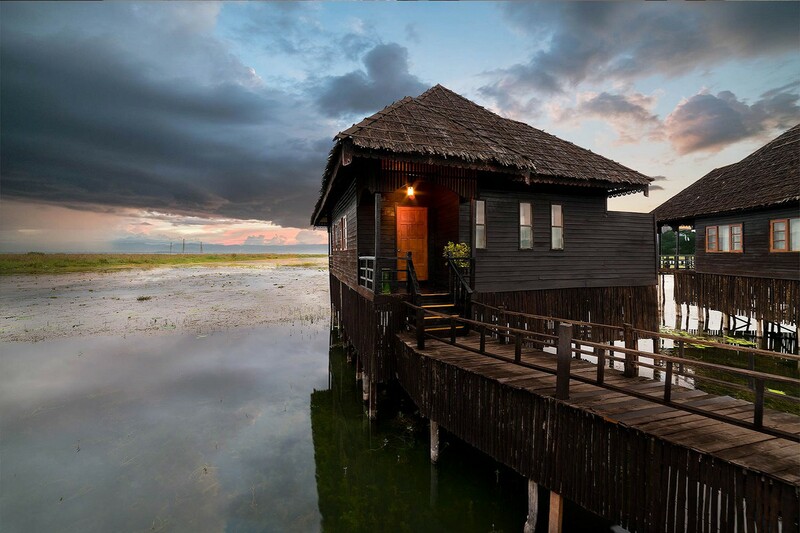 Standing elegantly on stilts over the lake and linked by wooden walkways, the one and only Suite has a built in jacuzzi. 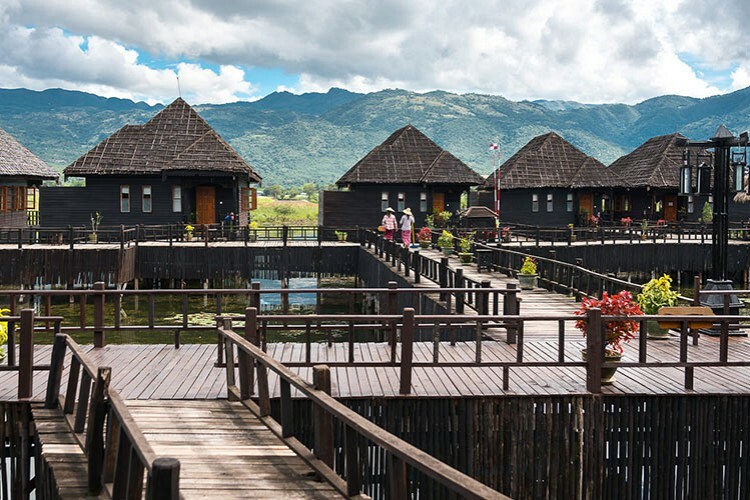 It features a unique architecture style of the lake using golden teak. 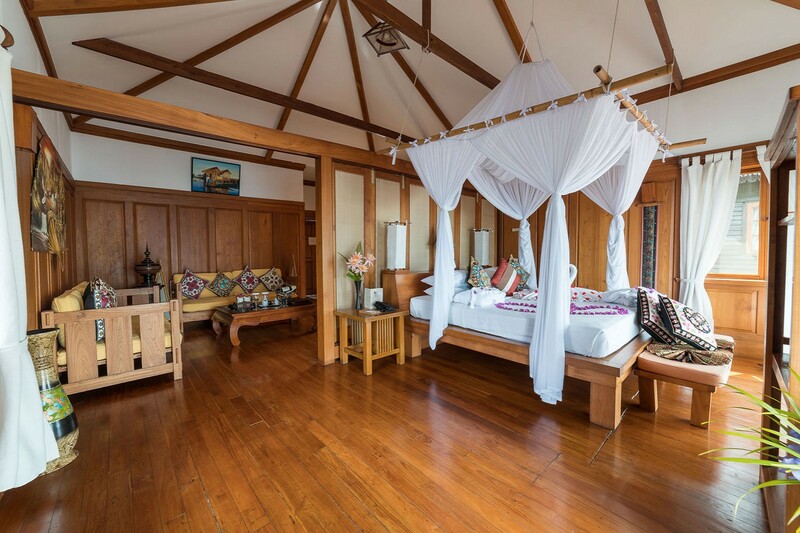 Spacious bedroom, living area and private balcony makes for the most enriching lake side experience. Balancing gracefully on one leg, the upright leg-rowing technique, which is unique to Inntha, allows the leg-rowers to expertly navigate their boats through the dense Inle Lake. The unusual stance, which involves standing on the stern and wrapping one leg around the oar, also gives the leg-rower the best view of the lake. This almost acrobatic rowing style has fascinated our visitors over the years. 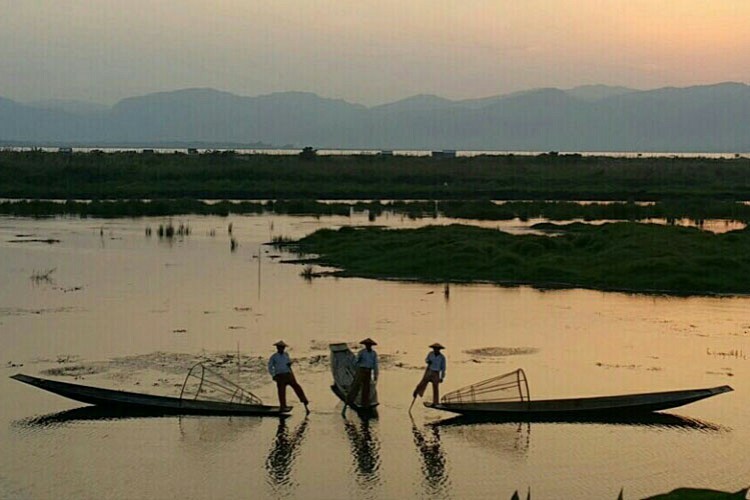 The best place to witness a beautiful sunset is on Inle Lake. Take a boat out and spend the day exploring the different villages/markets, meandering through the canals visiting temples, weaving workshop and the floating gardens. 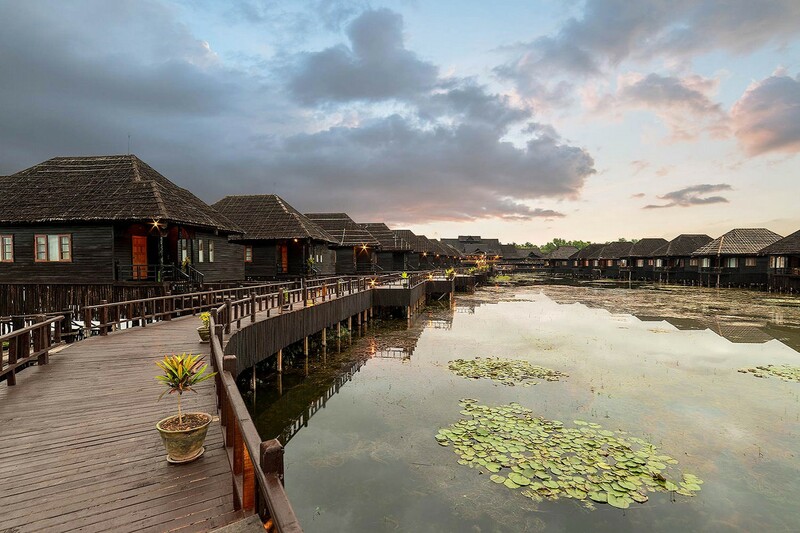 At the end of your excursion, make your way back to our hotel just in time to catch the sunset.